Here are the answers of some most popular asked questions from us by our clients. If you've any question. 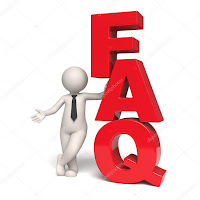 Please read FAQ's, if not answered your question please contact us freely. To Order our Subscriptions, please first contact us for free 24h trial. We want to be sure before selling you subscription that works well on your side. After free 24h trial you want to buy subscription please send us an email and we will provide you more details. As our team verify your payment, will send you subscription as soon as possible.We always suggest to buy monthly subscription length. If you have paid for your subscription, please allow 1-48 h for process. As soon as we activate your subscription you will get email from us. Please check your emails spam/junk folder or contact us. To test our server before making a purchase, please click here - FREE TRIAL. Please keep in mind that when you send you an email with your test activated your trial starts from this moment. Other emails may not replied. We will back to you with trial details to your email address as soon as possible. Our server is best quality faster service. Our main server is stronger than ever, so' it works perfectly. Feel free to test it. How to get subscription for my device? Smart IPTV, MAG?